When we get to the end of something, it is just human nature to stop and look back. We look at the ground we covered, the steps we took, or the end product we crafted. And because we all have the inner judge that makes shows like American Idol a hit, we want to critique our journey. Could we have walked faster here or fixed a bottleneck there? Does our end product look wonky, heavy on this end and light on the other? What did we learn? Where did we succeed? Where could we have done better? Stopping and evaluating. It’s a motherly thing to do. Whenever I read the story of Lot, and hear about his wife turning back to look upon the city, it frightens me to no end. She is instantly turned to a pile of salt for her action of disobedience. I’ve heard sermons and explanations about how she looked back because she loved the debauchery of the burning city, but that isn’t clearly spelled out in the scriptures. It is only clear that she was instructed to not look back by an angel of the Lord, and she explicitly disobeyed the command. I imagine myself in this scenario, and I can easily see myself stopping to look back for many reasons, curiosity, thoughts of my physical goods and sentimental items burning up in flames, concern for humans dying in the fires (even if they are wicked), or just to take a moment and process the traumatic moment that my family was living through. Would I have to courage to follow the command to run away from the familiarity of home into uncertainty? Would I have the strength to keep my eyes forward and the self-control to not turn my gaze toward the fire storm? The fact that I have to put my iPhone in a different room from me if I want to spend time away from social media tells me that it might have been difficult to obey that angel’s command. Since no one commanded me not to, I’m to stand here on this page with my hands on my hips and look back at my month of writing. I’m going to beg my inner judge to put on lenses of grace and mercy as I self-evaluate. And I’m going to tell you what I learned this month. First, I’ll tell you that I learned my husband supports me, more than I could ever dream. He’s my biggest fan, and I don’t know how I could type out one word without his support. On day 16, I had this false sense of pride wash over me. I had gotten my t-shirt commemorating the Write 31 Days movement in the mail. I was wearing it while calmly going about my day, so thrilled that I had made it half way through the month. I had the untrue illusion that I had climbed the mountain, and now all I had to do was hike back down. The truth is that every day was a uphill climb, even today. So when my writing didn’t come easy that day, I wanted to quit. I was tired of myself, and I was sure everyone reading had to be tired of me too. Our house was not just unclean, it was gross. And I couldn’t seem to muster the ability to put a load of laundry in the wash because the thought of folding it exhausted me completely. I decided I should quit. My husband convinced me to keep writing, and he helped me get that days post done before the day was over, even if it was 11pm. Not only that, the next week, he sent me out for a dinner with friends while he did 7 loads of laundry. I don’t know how I ended up with such an amazing husband. He is selfless and kind. Second, I learned that being self-conscious doesn’t get easier. I’m just as hesitant to share this post as I was day 1 or day 2’s post. Putting my thoughts in the form of sentences to be picked apart by the crows of the world doesn’t get easier. I just have to keep letting my precious kernels out into the world, whether they are left to bury into soil or carried away by the Grackle birds that my friend Kirsten exterminates with her shotgun on a regular basis. I don’t get to control people’s reactions to my writing. All I can do is do my best to be honest and listen to my husband who keeps telling me that it is good. And third, it is hard to be completely honest. Nice girls aren’t always bare-bones honest. Nice girls like to protect feelings and look like the good girl that they want the world to see them as. Being honest isn’t always pretty and sweet. It is a difficult thing to use discernment. Sometimes it is good to show the ugly side of who we are or what we’ve been through. But we also don’t want to end up like Lot’s wife, loving the ugly side of humanity so much that you would choose it over your own family’s well being. Right now I am 38 years, 8 months, and 25 days old. I don’t know my expiration date, but I could quite possibly live more years than I have lived so far. 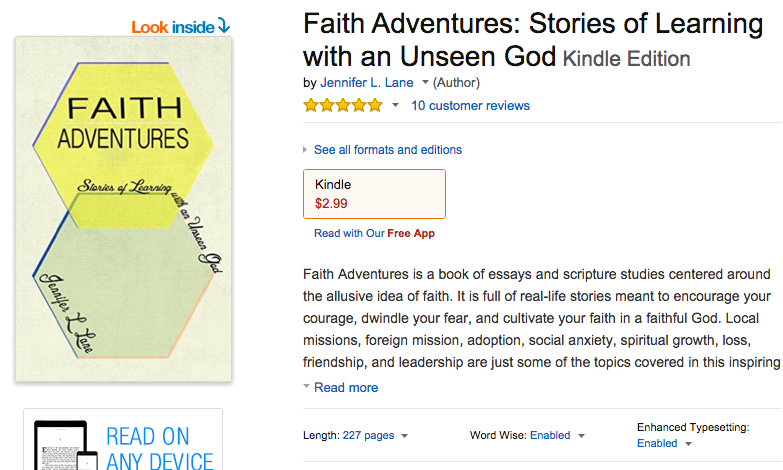 Looking at the topic of faith adventures from that perspective, I don’t know anything do I? Or I could go on to settle into a simple life of depending on my income, credit, past victories, and amazing husband. I could easily never live out faith in God another day in my life. The hard thing to believe is that God would continue to love me the exact enormous amount anyway, every boring day of that life. He loved me that same overflowing amount before I existed, on my very worst day, and on my very best day. Faith adventures are not about earning God’s love. They are about learning more about it. And I can’t think of anything I rather do. Music embodies everything that is good about life. It makes me happy. I love the Dr. Dog album Fate, and this is one of the highlights off that album. Toby from Dr. Dog has one of the most dramatic voices, and the lyrics he writes are weighty. But life needs this theatrical touch sometimes. Did you miss any of the 31 days? Here is the link to the table of contents. Did you enjoy reading these stories, please subscribe to my blog! Public speaking is not my jam. I have never done well with it; I’ve gotten better at it, but I still struggle. In 2013, three years after losing my brother, sharing publicly about the loss of my little brother seemed like a crazy idea, but I volunteered to do it anyway. July 21, 2010, I lost my little brother Jeffrey to suicide. It was two days before the 2010 God Has Not Forgotten You, Jesus Loves You Celebration, a yearly outreach by our church. We invite people from every walk of life, from all over our city. Three years later, I knew God wanted me to share. I knew how hard it would be for me to keep my thoughts straight and share about such a horrendous event. I knew I would be nervous and possibly distraught. I decided to to write out exactly what I wanted to say, and I stood at the microphone and read it. God used this testimony. At the end of the night, I prayed with a girl named Misty. She was about the same age as my brother had been when he ended his life. Misty was struggling with drug addiction, and wanted to ask God to help her. Praying with Misty was a blessing because I knew, if it was only this one thing, something good was coming from this tragedy. The last thing I want is nothing good to come from the loss of my brother. It has been my prayer from the day I learned of his death. God put a new calling in my heart in this last year, and that calling is to share my stories, mainly the story of losing my brother. I believe God can use stories to heal hearts and change hearts. Jesus spoke with stories, parables, because He knows the power of a story. Sharing a story takes faith. Putting out something tender and vulnerable into a rough and tumble world is scary. Will it be trampled or will it grow? I’m following God’s calling to share my stories. I’m taking that faith adventure right now. I love music, and I like to share a song with each blog post. Chris Bell died young in a car crash. I watched a documentary about him, and his sister had taken the job of preserving his memory and music. Watching her share about her little brother, I knew some of her pain. I admired her strength in sharing her story. At 36 years old, I had never lead a Bible study. I had barely attended one. I was cynical about women’s ministry. In the spring of 2013, we had just begun our adoption adventure. A friend asked if I would consider leading a study of the book 7: an experimental mutiny against excess by Jen Hatmaker. I had read the book the summer before, and I had loved the idea of fasting from things that pull us away from God and farther into the culture of this world. I made emails and fliers and let my friends know about the study at my house. I had a great turnout all throughout the study. We had amazing conversations, and I loosened my hold on earthly things just a little. It was a success. As our 9 week gathering came to an end, a few ladies began to ask if I was going to do another book because they didn’t want to stop meeting. I thought about where my cynicism was rooted in my criticism of other women’s Bible studies. My biggest point of criticism was that I didn’t understand why women wanted to just meet and study the Bible endlessly and never do anything that they had learned. I had liked the study of 7 because we were doing something, fasting each week. We were figuring out that God could sustain us through a week without coffee, tv, or shopping. In school, our teachers tried to incorporate learning styles for different types of learners. We were told that there were visual, audio, and tactile learners. I don’t think that this is exactly true. I think we are all visual, audio, and tactile learners. We just lean heavier into one category than others, or maybe there are people out there who are evenly distributed among the three in their learning. It isn’t a yes or a no, but it is a sliding scale. Tactile learning is when you learn by doing something. Most of our daily life is full of stuff that we learned by doing, like cooking, washing dishes, vacuuming, clicking screens, reading, writing, and parenting. I began to look back at times of growth in my Christian life, and I realized that the times I had grown the most were not times of heavy study in the Word of God. Growth came when I was going through something or when I was ministering to others. God and I grew closer by tactile learning how to live the Christian life. That is what a faith adventure is anyway, isn’t it? Doing something with God, together. When I was 5, my dad build an entertainment center. Now days you can get away with a little table or you can even hang your tv on the wall and not even have an entertainment center. But in the 80s it was different. As we acquired a VHS player, my dad modified it to hold the player that was the size of a stovetop, and he added drawers to hold VHS movies. That entertainment center was ginormous. It was about 4 1/2 ft. tall, 10 ft. long, and 2 1/2 feet wide. And I had “helped” my dad build it. I took so much ownership of that thing. When my parents decided to get rid of it a few years ago, I was so sad. I morned it like a lost pet. I had built that thing with my little girl hands. I had rubbed sand paper across that wood and panted on lacquer. We had moved it to three different states. In all the moving, it had cracked across the back, and it had a license plate holding it together. That center was a fixture of my childhood. I sat in front of that thing and watched Cookie Monster, Erkle, Hee-Haw and Andy Griffith. But had I really built it? No. My dad did all the heavy lifting, planning, sawing, and sanding. God calls us to come build something with Him. He wants to hand us sandpaper and brushes as we build the Kingdom together. We don’t do the real work, but we do enough to become invested in what we are building. We begin to treasure people, the church, the unreached, the hungry, the thirsty, the broken, the orphan, the widow, the sick, and the imprisoned. We treasure them because we have invested our heart into them. I wanted a Bible study that was tactile. I made a plan. We would study and meet to talk about our lessons for three weeks out of the month, but once a month we would do something. We would plan outreaches using the encouragement found for women in Titus 2. One week we taught a healthy cooking class to low-income moms, one week we delivered summer fun kits to single moms, one week we had a used clothing swap at the church, one week we had a class about reading to your kids, one week we taught low-income families how to save money by making household supplies like laundry soap, and one week we had a pizza crust making class. The group only lasted six months. Attendance got smaller and smaller as we continued, and it fizzled out. Sometimes you try something, and it just doesn’t fly. I don’t regret trying it. As I write this, I still think that it’s a good idea. I had fun doing those outreaches. The principle of a faith adventure is to step out. Usually God moves in ways that you don’t expect. That doesn’t mean that He isn’t working. At the tail end of this group, I had the opportunity to step out and try something else with God. I heard about the IF:Gathering conference. In, February 2014, I hosted an IF:Gathering at my church. I really wanted to go to Austin for the first IF:Gathering, but I couldn’t logistically do that (i.e. no money for that in our budget) and on top of that, the tickets sold out in a matter of minutes. So when Jen Hatmaker posted her blog about IF:local, I was on it. I wanted there to be an IF:local in my city. So I decided I would host one. I put all the details together and kept it simple. I had 12 ladies attend, and it was wonderful. But, here’s the thing. It was small. In December of 2015, I went to a brunch with 5 other ladies and we decided to have a city-wide, multi-denominational IF:local in Amarillo. From the beginning, our goal was 500 women, free of charge to attendees. We knew God could provide the money. Over the next few months, we added other women to our team of planners. We worked hard getting the word out, asking for donations, and working out details of the event. I will never forget our meeting the first week of January. We sat around looking at each other asking if we were crazy. We had $200 in the bank, around 2% of the money we would need. We had less than 40 people signed up, and the event was only one month away. We could have walked away at that point, called it off. Instead we prayed for God to move. God was going to have to do the work we couldn’t do. I am so thankful for that experience, because we saw a miracle. On February 6, 2015, we had 500 women show up to the event, and God paid for every bit of it. That month prior to the gathering, donations had trickled in and sign ups slowly were added all month long. Sometimes you try something, and it flies. God wants us to hold the kite string, but only He can send the wind. I love music so I include a song with each blog post. Folk music is an easy target for ridicule, but if you don't think this song is beautiful, check your pulse. Chapter 11 of Hebrews is referred to as the the “Heroes of the Faith” chapter of the Bible. In it, it lists Bible patriarchs, kings, leaders, and prophets, most (but not all) of whom are actually in Mary and Josephs’s genealogy. “By faith.” That is the action that lands them in this list of heros, and it is the only action that ends in pleasing our God. Thankfully, as we read through this list, we also remember that these are real people, humans like you and me, who made big time mistakes. There are only a couple names on here that the Bible doesn’t tell us an explicit wrongdoing or huge fault. The only thing we know about Enoch’s possible faults are that he didn’t begin walking with God until he was 65. We can safely assume mistakes were made in those 65 years and the other 300 years of walking with God as well. Joseph is unique. We know a lot about his life, but yet his faults aren’t as glaring as our other heros. But I do know he had faults. He was kind of a brazen, bratty, tattle-tale kid.. In between childhood and becoming a ruling class Egyptian, I have to imagine that there were times of bitterness, anger, and resentment towards his brothers. It would be impossible not to have those feelings. He was able to forgive his brothers in the end, but I assume it wasn’t an neat, clean process. The fact that these heroes were used by God gives me hope that I too can be used by God. In fact, Hebrews 12 goes on to invite us to join this great race. A race that began with a promise to Adam and Eve after the fall and will not end until the last believer is called home to our Father’s house that is being prepared for us. Now that we know we are able to be used by God and that faith is the only spiritual qualification we need, and that we have actually all been invited to join God’s plan. The only question now is what should we actually do? Henry Blackaby says that, “We don't choose what we will do for God; He invites us to join Him where He wants to involve us.” He also goes on to say that God is already at work in your heart, that God knows you intimately, and God will actively work in you. Bob Goff says that your everyday life is an adventure with God. This reminds us that have the power answer the invitation to involve God in our everyday life. God wants to be involved in what we are involved in. We don’t box off our lives or heart into sections “spiritual” and “non-spiritual.” God wants us to live a wholehearted life, wearing our whole armor of God, and clinging to the faith, that was perfected by Jesus, which will make it possible to please Him. Invite God into your whole life and be watching for God at work so you can join Him in the race. Don’t be intimidated by our great cloud of witness; be cheered on and encouraged to run. At the beginning of the summer 2012, I had the opportunity to start my own Citychurch bike route. I had supporting my husband’s route for 4 years, but committing to lead a route was something new. A few things scared me about taking on this role. I would have to pull a trailer. I had a toddler boy at the time. What would I do with him? I would be the only girl leading a route. How would I get past my insecurities? Despite my fears, I agreed to take on this role as the Mary Hazelrigg neighborhood bike route minister. As hard as it is for me to believe that I stepped out and took on that role. It is even harder for me to believe that I have completed 4 years as the lady who pulls a trailer with lunches in the Mary Hazelrigg neighborhood. For the past four years, I’ve delivered about 70 lunches a day to kids in this neighborhood. I’ve built relationships with the families in the downtown neighborhood around Mary Hazelrigg park. I’ve stepped out in many ways during those afternoon rides. Many aspects of leadership do not come naturally for me. Taking groups of strangers with me almost everyday is not easy. Me leading that group of volunteers is unnatural. I have to get them through the route safe. I have to give them clear instructions of where to go, and what to do. It has gotten easier for me over the years, but the actual leading is always a struggle. The other way I have had to step out of my comfort zone is the spiritual encounters that happen. I have been lead by the spirit to stop and pray for people. I have been confronted by homeless men and women asking for handouts. My response to them sometimes includes food (I have to use discernment), but it always includes prayer. I’ve arrived at houses where grief of a lost loved one is fresh; I’ve shared words of hope and prayer in those situations. I’ve encountered times when I sense that there are things I should share spiritually with either a home or a volunteer, I’ve done my best to take those opportunities. Just the physical act of riding a bike with a trailer pushes me out of my comfort zone. I don’t consider myself physically fit. I’ve never been the athletic type. I will chose books over physical activity almost every time. I feel uncomfortable in that bike seat knowing that I am a home school mom with an above average body mass. I can’t even think about what I look like in that position. If I do, I want to crawl under a rock. Luckily, it is not about me. The route is about the children. God gives me that privilege of doing his work, feeding children, all summer long. I am also building up the church in these moments. I’m a representative of my church and the global body of Christ telling these children that the church cares about them. We care enough to be out on a bike in the hot sun. We care enough to come to them, right at their door. We care enough to look them in the eye, ask how they are, and listen to their answer. We care enough to offer to bring them to our church or to keep feeding them even if their parents refuse to allow them to attend. God has rarely asked me to do something that I’m good at. He almost always gives me opportunities to serve Him from a place of weakness. Taking on the bike ministry and leading a route is the best example of ministry from the point of weakness in my life. The namesake of my neighborhood, Mary Hazelrigg, knew something about serving from a place of weakness. At the age of 60 she retired from her city of Amarillo janitorial job. She knew that God wasn’t finished with her yet. At 65, she began a Christmas ministry to underprivileged children in North Heights area of Amarillo, the area just north of the neighborhood I minister in. The first party benefitted about twelve children, but God began to multiply her efforts. Even when 700 children would attend, the parties were still held in Mrs. Hazelrigg’s home. God used Mary to organize community events, establish community centers and the park that now holds her name. In 1982, Mary received the honor of being named Amarillo Woman of the Year. She was honored by many organizations for her work with children, her church, and the Amarillo community. The year I moved to Amarillo, the park in the center of the neighborhood I now serve in, was named Mary Hazelrigg Park in her honor. Although Mrs. Hazelrigg died six years before I moved to Amarillo, I would like to think we would have been great friends. My heart echos her heart for children. My passion for serving the Lord was so similar to her own. And weakness never stopped Mary from stepping out to serve. It’s almost like she took the words out of my mouth. Mary never had a pile of money in her bank account that she could draw from to provide Christmas for 700 children. I will never impress anyone with my cycling skills. Sometimes we want to serve God with something we already have together, something that looks good and pleasing, with a bow on it. This is exactly what Cain did when he prepared his sacrifice to God from the best of his horticulture work grown from the ground. God had no regard for this sacrifice. When God invites us into His work, we might not think what we have to offer is significant. But that is the point. We can serve Him best by allowing God to fill our empty vessel, instead of offering a full one. I love music, and I like to share a song with each blog post. Sometimes on YouTube, you take a chance and click on a bedroom studio recording. Instead of something mediocre, you find amazing talent. This is absolutely beautiful and brought me to tears. In the summer of 1995, I had my summer dream job. I got to be a counselor at the Steven’s Ranch Girl Scout Camp set on the beautiful Brazos River. It paid almost nothing. We only got one hour a day of free time, but I loved it. At the beginning of the summer, we chose a new, pretend name. Our real names were off limits. Mine was Jude. There were these sweet girls that I got to traipse around in the woods with, and most of the other camp counselor had been recruited from overseas. So I made friends from all over the world. The closest friend I made was a girl from The Czech Republic. Every other weekend, I would go home and see my family and my boyfriend James. James and I had been dating for one year at that point. We had already broken up twice, and our relationship was pretty juvenile. One day towards the end of the summer I got a package from James. He mailed me lots of letters, but this one was different. This one had a postcard that had a picture of a man flicking a scorpion off his cowboy boot. The postcard let me know that his family had just moved to Amarillo, Texas. This was a little of a bummer, but I understood why he had moved. James’s dad was waiting on a life saving liver transplant, and he wanted his family to be close to his other family that lived in Amarillo just in case he didn’t receive a liver or died during surgery. At the time I had no way of knowing that Amarillo would become my home. I couldn’t even tell you where Amarillo was on a Texas map. I had never been there. Everywhere I had lived in Texas was around the Fort Worth area. His news of moving didn’t really affect much because I was spending the summer away at camp, and as soon as I got home, I was leaving for college. I had already been accepted to attend Stephen F. Austin State University in Nacogdoches, Texas. I guess the biggest impact would be that instead of being four hours away from visiting, I would be more like 8 hours away. As school started, I moved into the dorm and began my classes. James was able to enroll at West Texas A&M University located only a few miles from Amarillo. That semester was a pretty intense long distance relationship. We called whenever we could afford to buy long distance phone cards, we wrote letters almost daily, and we would make online chat room dates. We would pick a time, I would go to the college computer lab located in the library, meet on a chat room, and type messages to each other. Usually we could find a chat room that didn’t have anyone in it. All of these rudimentary forms of communication are now obsolete. Thanks technology for making me feel old. Can I tell you that I loved the SFA University campus? It was set in the piney woods, and the trees were gorgeous. I loved every pine scented walk to class, even when it was in the rain. But the longer James and I spent apart, the more I realized how much I cared about him. I was extremely worried that he was going to lose his dad soon. His family had such a genuine bond and strong love for each other. I had never seen anyone love their parents so much. James was 6’ 5” tall and his dad would frequently ask him to sit in his lap. It was a funny sight. As my first semester came to a close, I began to think about transferring to West Texas A&M so that I could be near to James, especially with his dad so sick. I decided to do it. I remember being very unsure that I was doing the right thing. I had so many people advise against it, including my parents and even the SFA student body president. I had gotten elected as a freshman class representative, and since I would be leaving during the middle of my term, I had to meet with the president. He was a senior, and he told me that I was making a mistake that he had seen lots of friends make. I tried to assure him that my circumstances were different and that the girl I was appointing to take my student government seat was going to do an excellent job. Despite the naysayers against moving, I did it anyway. January of 1996, I moved into the dorms at WTAMU. Here's my welcome note on my dorm room door. Impressive, huh? My RA must've been an education major. Although WTAMU is now my alma mater, I am just going to tell you that their campus was not pretty. I missed the trees. I missed the moisture in the air. I missed my friends, especially my best friend Cheryl. I was very ill prepared for Amarillo. I never needed an umbrella to walk to class. I hadn’t lived in a place that got actual piles of snow. My first week of class, I jumped in the shower and walked across campus with wet hair. When I arrived at my building, I went in the bathroom and realized I had literally ice cycles incasing my hair. After fall turned to spring, the first dust storm hit. James picked me up at the athletic building after class. I jumped in his suburban wiping dust particles out of my eyes and trying to brush my hair back down with my fingers. “This is ridiculous!” I said. James replied that he thought it was kind of cool, like another planet. I did not agree. He went out and bought me a potted tree to try and cheer me up. As my life has continued to include this town of Amarillo. One day in 2007, I realized that I had lived in the city of Amarillo longer than I had ever lived in any other city. My longest record had been Burleson, Texas which I had lived in for 10 years total. From that point on, I knew I had to claim Amarillo as my home. I took a leap of faith moving to Amarillo that cold January, one month shy of my 19th birthday. If I hadn’t, I might not have found home. Just like it took me a while to appreciate Amarillo, this song to a while to be written. Bob Dylan wrote part of it in 1973, and Ketch Secor of the band Old Crow Medicine Show finished it 40 years later. Christmas of 2013, our dossier for our adoption had been mailed to our agency, and we were waiting for it to be translated and mailed to Ethiopia. A few of our new adoption friends, including my Target Friend Shelly, were talking about joining one of the mission trips our agency was sending to Ethiopia in the summer. The money was my biggest worry in signing up for the trip, but God confirmed that I should not worry. The way this was confirmed for me was kind of funny. We were sitting in church on Christmas Eve, and I leaned over to James before the service started and said, “Is it crazy to spend money on a mission trip when we are trying to save money for our adoption?” That service, the preacher specifically said these words, in sermon that had really nothing to do with missions, "It is never wasted money to send someone overseas." I knew I was suppose to go. The next night I submitted my online application to join the mission team. Raising money was actually pretty easy for that trip. We did some fundraisers, and some extremely generous people donated money to help cover my cost. I have some very sweet friends and family members. It was my very first trip overseas, and my very first organized mission trip. The church I attended after I became a Christian as a teenager was extremely small, there weren’t any opportunities for missions. And the church I’ve been at my whole adult life is Citychurch. Our motto at Citychurch is living the mission. We treat our city as a mission, and we reach out to the neighborhoods downtown in many different ways. It turns out missional living is good training for mission trips. I felt right at home meeting the kids and adults we encountered that week in Ethiopia. Before going on that trip to Ethiopia, I had always looked at the verses in the Bible about caring for the fatherless as something I was already doing. The neighborhoods that Citychurch ministers in are full of fatherless children. But as I met parentless children in Ethiopia, I knew I had not been fulfilling that call that every Christian is commanded to carry out of caring for the fatherless. Everything about that trip required faith: the fundraising, worries about flying on a plane that far, overcoming worries about the food and sanitation, overcoming worries about getting to know a whole group of ladies from North Carolina, worries about homesickness, worries about how my daughter was doing getting ready for public school without me there, and worries about how useful I would even be on the trip. Maybe I should finally start listening to Jesus’s words about not worrying, because God was faithful on that trip. I wrote about my first week in Ethiopia extensively. Here is the post that covers that week. As the next summer was approaching, James and I were considering the idea that both he and I would go on the summer mission trip to Ethiopia with our adoption agency. At this point, James had been to Africa 5 times (but never to Ethiopia), and I had been the one time. We had never gone at the same time. There were two things that immediately concerned me: 1. Would our children be ok without us for almost two weeks? 2. Would we be able to pay for the trip when it would cost double the amount of one of us going? Going on the first trip had built my faith. I had saw how God had provided everything physically and emotionally that I had needed to accomplish His work. We took the leap and signed both of us up for the trip. I’m so glad we did. 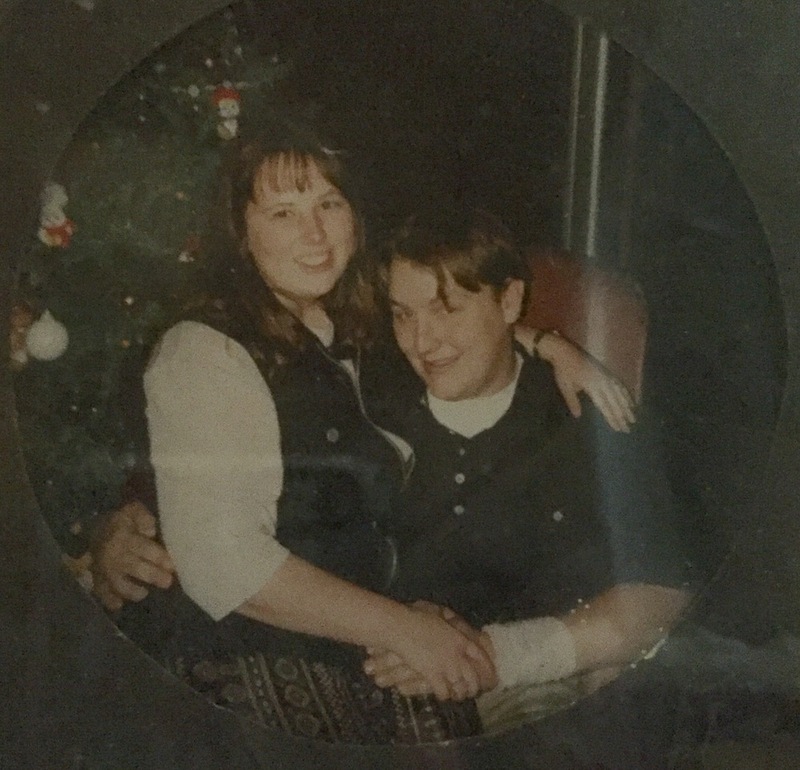 It was a little bit of a sacrifice financially for both of us to go, and being away from our kids wasn’t easy. But it was worth it. That trip was such an amazing time of learning about orphan care and learning about where our son would come from. I wrote a long blog post about this week as well. If you would like to read it, here is the link. I would just encourage you to be open to new missions and ministries that God may want to involve you in. I was sure that I was checking off all the boxes of commands to ministry in the Great Commission and in commands to care for the fatherless by being active in ministry at Citychurch. God allowed me to see those commands in a new light when I was able to GO and offer love, compassion, and care for orphans on the other side of the globe from me. Always be willing to allow God to show you His work and His commission in a fresh way.